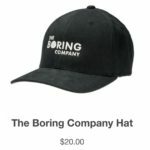 Elon Musk claims that his startup company, Boring Co, has made $300,000 in hat sales. 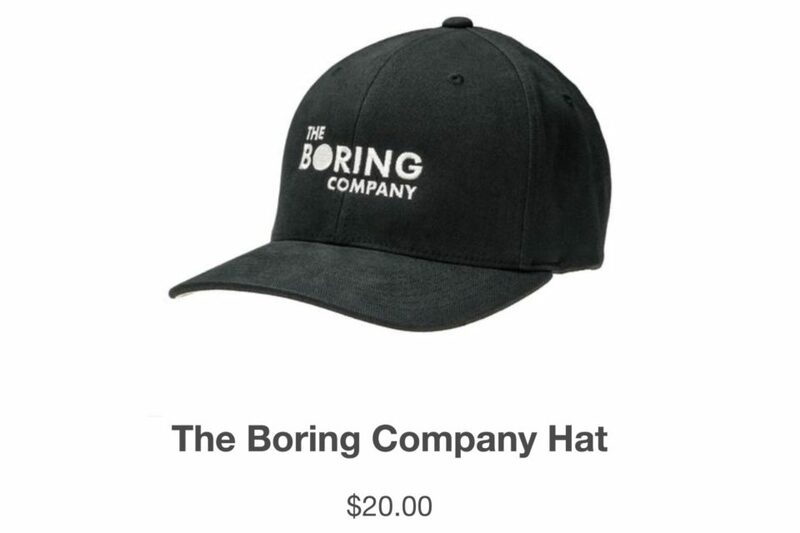 The Tesla CEO showed off a hat in March with “The Boring Company” on the front. 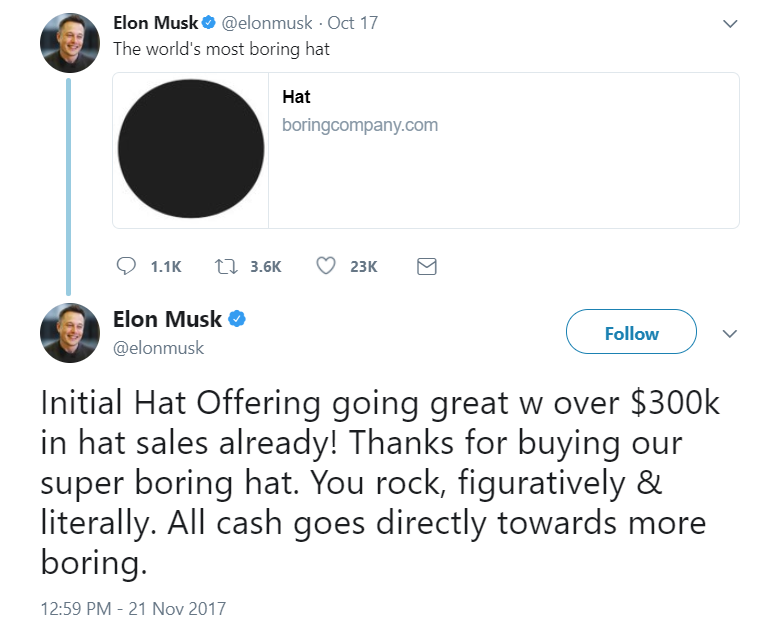 In a tweet released yesterday, Elon Musk said the proceeds from hat sales are more than $300,000 and the money will be used to fund “more boring.” This translates to 15,000 caps been sold.